I walked into the dorm room from my morning shower and he was cooking something on a camp stove on the windowsill. Curious, I asked him, “how long have you been traveling?” From his worn hiking pack and sun kissed face I could tell that he had spent time outdoors. “Since last Saturday, we’ve been hiking for about a week,” he said in a smooth Italian accent. It was like he was touching the words gently, almost glossing over them with a song on the tip of his tongue. Much different than the lady that gave us a tour of the catacombs beneath the Church of St Agnes in Agony. Her English was like a roller coaster, an exaggerated movie Italian accent. “How about you?” my tall hiking roommate asked. “I’ve been travelling about 4 months, since January,” trying to hide a sheepish grin. “Ooh, wow,” was the response, visibly impressed with the length of my journey. Respect was established, a bond shared. I met this man on my free travel to Assisi. He was only one of many people that we met along the journey. One of many people we will likely never see again. 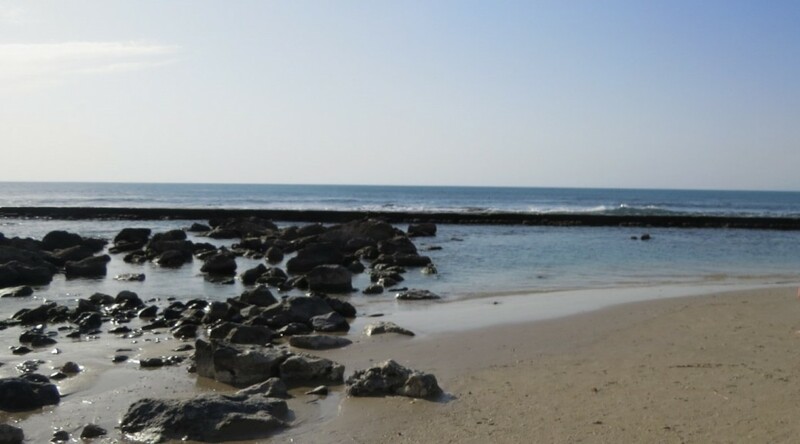 As we enter our last stretch of time in the Middle East, the focus of our explorations has shifted to the sea – to learning and walking the different types of harbors, to studying Paul’s journeys by water (and land), to basking in the views of the seas from our hotel windows. I’ve known water in a relatively limited way until this week. I’ve known living water preached about in church. I’ve known thunderstorms and flash floods. I’ve known peace like a river, love like and ocean, and joy like a fountain. I’ve known the cool, refreshing splash of jumping in a pool on a hot Texas summer day. gather the same dust upon your skin? And fields of wheat all along the way? that your very bones will seem weary? and your next meal in a seamless stream? pulling you up hills, over the rocks? of walking the trail with Jesus? We arrived back from free travel and dove right back into the Old City of Jerusalem. We spent the week in a convent called Ecce Homo, which translates to “behold the man”. The arch that goes over the street adjacent to the convent has been suggested as the site where Pilate presented Jesus. 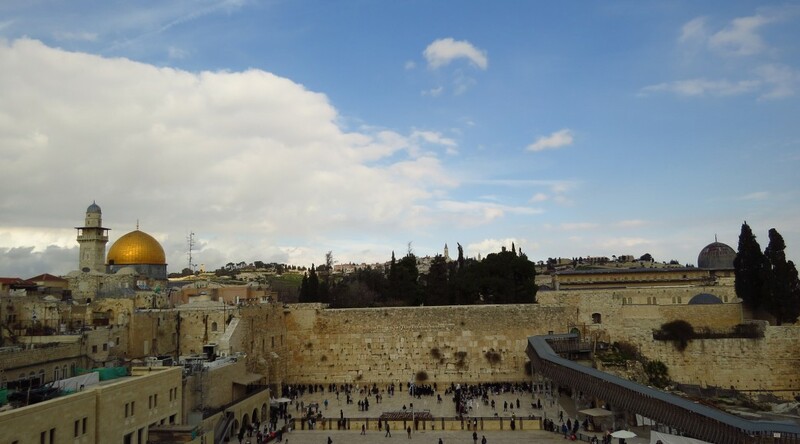 The whole week has been focused on the Old City and how Judaism fits in there. We had lectures on Jewish history as well as 10 hours of Hebrew language. 10. Energetic Bar mitzvah Children (around 11 p.m.) – Unfortunately, we were unable to share in the children’s excitement for this new phase of life, due to preparing for our presentations and getting some sleep. 9. Druze Meal – We shared a delicious meal followed by a short lecture about Druze’s history. 8. Search and Rescue Guy – A much appreciated, yet rare voice concerning the Israeli army’s rescue program. 7. SNACKS ON THE BUS – Enough said. 6. Learning about Israeli Politics – We were able to be in Israel during a very rare, but exciting time. We learned about various political parties and got to see the election unfold first hand, while understanding its implications. 5. Mifgash with Soldiers – Soldiers our age spoke with us about their required national service. 4. 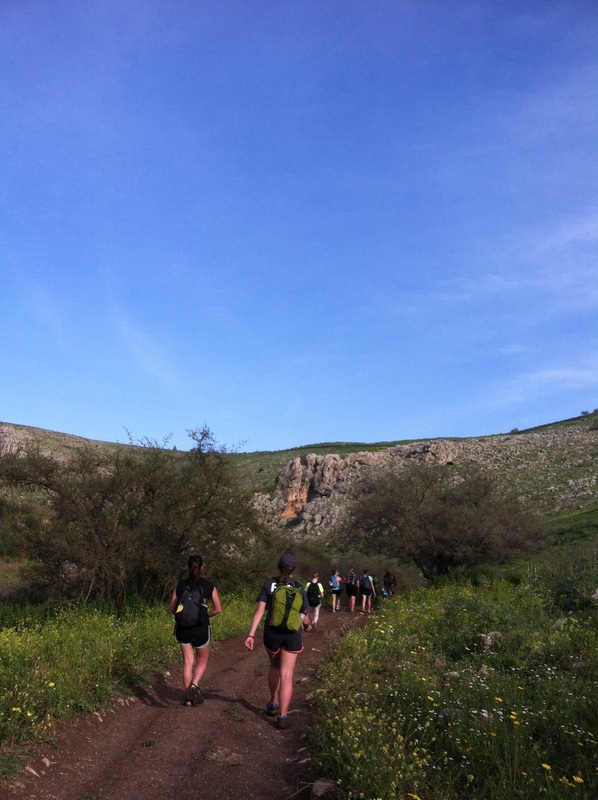 Podcast – Tune in to Oranim College radio station to hear another annual podcast on our experience in Israel! 3. 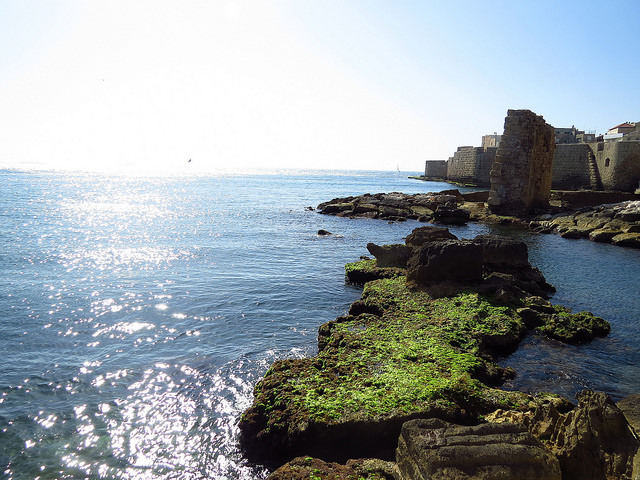 Akko – Another breathtaking view of the Mediterranean… and even a quick dip! Also, shout out to Lauren Sauder for having a timely birthday, giving us a baklava treat! 2. Talking with parents of Bat-Chen – A powerful presentation by parents who devote their lives to the path of peace, despite having lost their daughter in an attack. 1. Helen Goldstein – Without potentially spoiling anything for groups to come, this performance was a display of complexity and comedy, all the while touching every person in the group in a new, powerful way. Learning Hebrew proved to be quite the task, as our instructor informed us that she normally takes 50 hours to teach the letters completely. We only had 10 hours to learn the letters and some basic phrases. The pace of the class did not stop us from giving our best effort to learn. We ended up being able to sing some songs to help us remember how to say “good morning, evening and goodnight” and some traditional shabbat songs. While in Jerusalem we are staying and studying at Jerusalem University College. 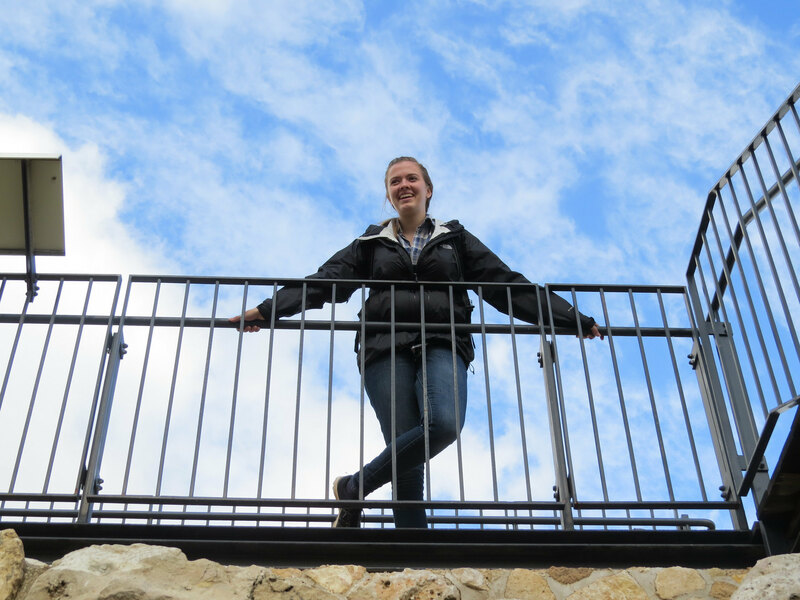 JUC is a small university (we’re talking 50 people max on campus) that offers a place for undergraduates to study abroad for a semester in Israel, or students to complete a master’s degree in Biblical Geography, Hebrew, or Current Affairs. We are taking a 2-week intensive Biblical Geography course. Many days we spend out in the field, leaving at 7a.m. and not returning until dinner. I should perhaps be more specific about what I mean when I say, “in the field.” Through this course we have the opportunity to travel all over Israel; we have “field days” in Jerusalem but also down to the Negev, out to the coast, and up to the Jezreel Valley, Galilee, and the Golan Heights, where we are learning about the events that happened in the location while we are at the location. The days we are not in the field we spend in the classroom, listening to lectures on topics we will be exploring in more depth in the field later. It is exhausting. We’re traveling all the time. We are being thrown so much new information. But it is also so cool! This course adds an entirely new perspective to my view of the Bible. It also adds to my general knowledge of things that I never knew I wanted to know. 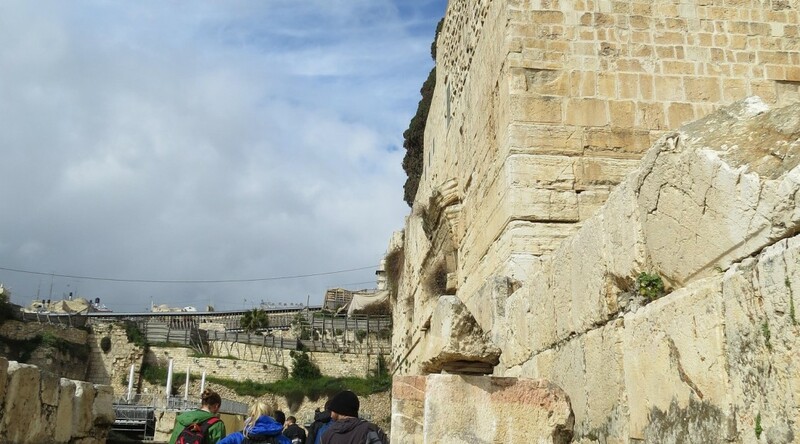 For example, we’ve learned about the three main types of limestone found in the Holy Land “and why it matters.” We have learned what a “tel” is, have stood on top of one too many, and if you ask us about it we’ll be happy to “tell” you all about them. We’ve had fun as well, doing things like swimming (or rather floating) in the Dead Sea, sitting on top of Mt. 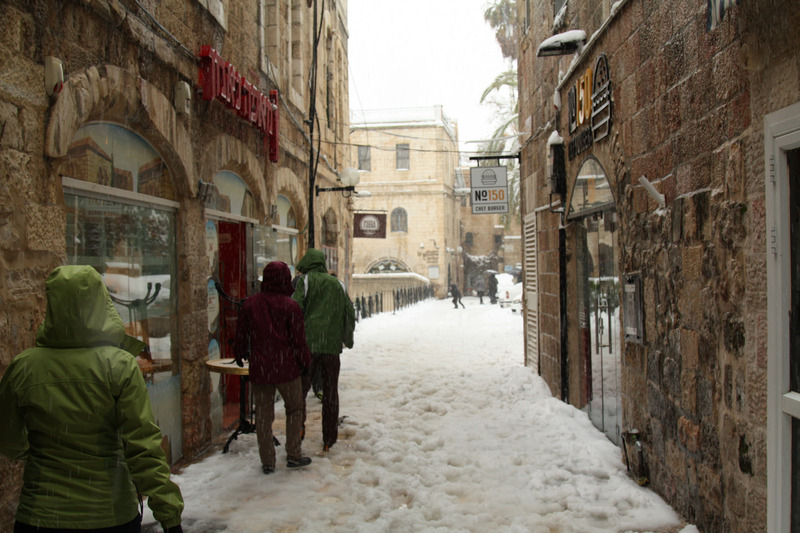 Carmel, singing on the banks of the Jordan River, standing on top of an extinct volcano looking out over Syria, and playing in the snow in the old city of Jerusalem. We take buses to most of our destinations so we have ample time to think about what we have been seeing. Here are three things that have struck me especially this past week or so. 1) Israel is so small! Everything is so much closer together than I imagined it growing up. For example, you can walk from Jericho to Jerusalem in one day. You can also drive from Jerusalem to Nazareth in about 2 hours. 2) Israel is an extremely diverse country climate wise. If you wanted to, you could drive from the barren desert to rolling hills, harsh wilderness, wide valleys, flat farmland, Mediterranean coast, and humid forest all in one day. 3) My knowledge of the Old Testament is getting some serious refreshing and upgrading. It has been fun to relearn some of these stories from a new, and more physically and historically accurate, perspective. “Context is everything,” the saying goes. And if our place of origin, our home, helps define us- then the context of that home is so much more than everything, isn’t it? Visiting the old city in Jerusalem today, it became so clear how the natural space we were in defined the physical place we were visiting. Simply put, it created the physical place we were in. Civilization upon civilization created the hills, just as much as the hills created the civilizations. 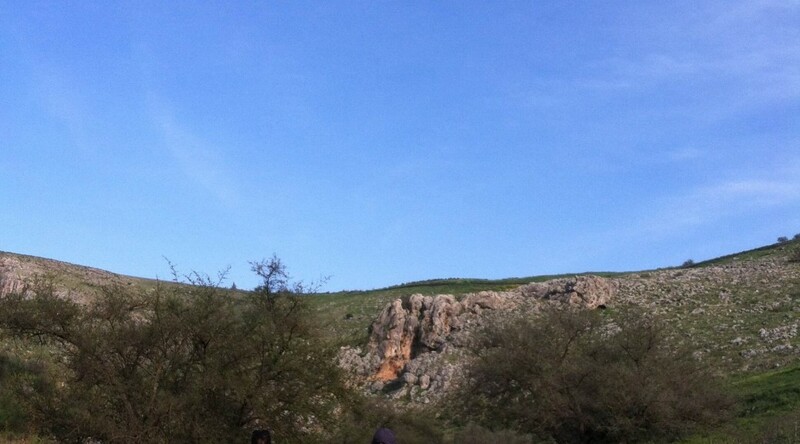 When I first heard we would walk across the Hinnom Valley, I imagined a day-long trek. But a quick trot up some stairs took us in and out of the valley, to view JUC from across that space. Building on top of, and around, previous cultures created a chaotic harmony of completely unique Jerusalem culture. Viewing that culture from the rooftop today was strange. Bizarre, even. Ruins melted into new construction. Local children dodged crowds of elderly tourists. Israeli soldiers fit into the spaces between Mennonite students. Jerusalem – a culture all its own. It definitely made me look with new perspective at where I come from- my location, my home base, my culture and context. In Oregon the sunlight seeps up from the ground, so I highly value the warm light of grass and moss. A horizon line of mountains means I need- yearn- for that feeling of being nestled within the slope of the land. Today I learned how the Holy Land has created Jerusalem- and how Oregon has created me. We’ve concluded our final week in Beit Sahour. This week has been full of last times: last time walking to the ATG (Alternative Tourism Group) in the morning, last Arabic class, and last meals with our host families. We started out the week watching a film called The 18 Wanted, a comedy/documentary about the people of Beit Sahour resisting Israeli Occupation via nonviolent actions. The film is artistic, entertaining, and has a strong call for justice. It is definitely worth watching. 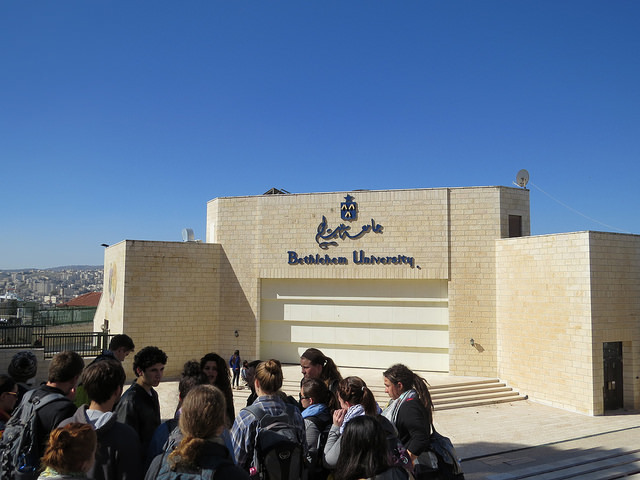 Other highlights include a visit to the Badil Center in Bethlehem to learn more about Palestinian refugee issues and legal status, going to the city of Nablus in the northern part of the West Bank, seeing the Pools of Solomon, stopping at Jacob’s well, and visiting a Samaritan community and learning about their religious and cultural practices today. For many of us, our day at the Tent of Nations was one of the most powerful times of the trip. Tent of Nations is a farm that has been run by the same family since the time of the Ottoman Empire. All around the farm, Israeli Settlements are being built and the family is continually being pushed off the land that is legally theirs. On repeated occasions the family’s trees (apricot & olive) have been bulldozed during the night by Israeli soldiers, but the family lives by the motto “we refuse to be enemies” and instead of reacting in violence, they vow to plant two trees for every one the Israeli forces plow down. We as a group had the opportunity to help dig holes and plant trees on the property. It was a day of hard work but a welcomed sense of being able to do something, however small, to resist the oppression we’ve spent the last three weeks learning about. 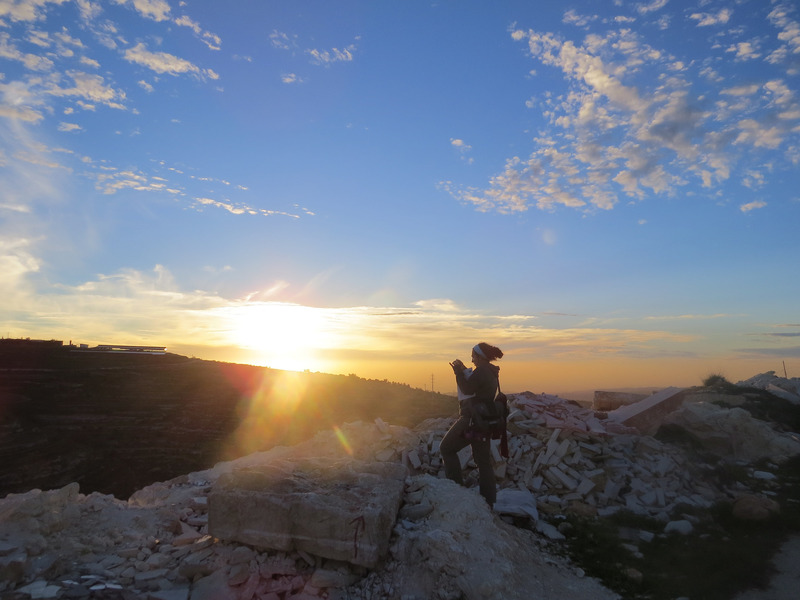 I’m sure I can speak for a lot of us when I write about how I personally feel leaving Beit Sahour. I’m ready to begin the next part of the journey, to be on the move and feel like a traveler again. But at the same time, I’m hesitant about leaving the many ways this place has been a comfort for me the last 3 weeks. I’m going to miss the stability of a fixed schedule. Arabic class in the morning, lectures in the afternoon, and the occasional field trip to places of biblical or contemporary significance have been our typical daytime activities. But in the late afternoon when we split to walk home, whether we’re exhausted or contemplative or confused or wired as a response to whatever we learned or experienced that day, we had homes to go to. Families to nurture us in body and spirit, to help us verbally process or even sit in comfortable silence around a TV. The Palestinian culture is one grounded by the concept of family. This definitely isn’t limited to blood relation – while any given person has many relatives in the area, the way in which they act toward anyone on the street makes them feel as though they might as well be one too. The people we’ve met serve as a perfect example of loving your neighbor, strange or familiar, as one of your own. ATG has done a marvelous job at helping us experience this firsthand; too many tourists visiting the Bethlehem area hop off a bus, capture pictures and leave again without getting to know the people who live here and have lived here since the time the famous baby Himself was born, but the organization has provided an alternative approach to such visits. We’ve seen how this loving community is slowly shrinking and separating by the hands and the walls of the occupier, and we struggle when we think of what can be done to stop such blatant injustices. 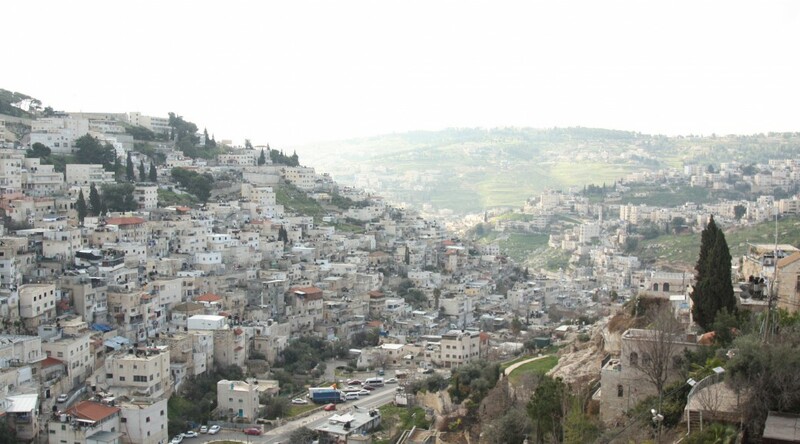 Today, we leave our makeshift home that is the community of Beit Sahour. We cross the border all too smoothly to the side of the “other”, who we will get to know and hopefully love instead of subconsciously hate from the shielded viewpoint of those who are suffering. Deepening complexities will continue to challenge our idea of “comfort”, but I hope and pray that we’ll continue to find it not tied to location, but instead to the hearts of humanity – through these seemingly miniscule instances of love that exist in every one of us. And I think I can speak for all of us when I ask you to do the same. No, listen! Open your ears! Clear the page, erase the smears. Wait, see! Open your eyes! Notice the pain. Comfort the sighs. We together, come once more. Take down the wall, open the door. How both sides truly wish to be. Hebron – the first glimpse of the conflict on the ground, and a major reality check. How is it possible that neighbors would have each other arrested, or throw their trash on each other? I stood on one side of a wall that divides the city and half an hour later I was standing directly on the other side thanks to my American passport. 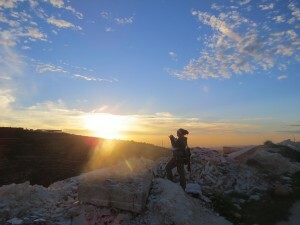 I stood on the road originally created for Palestinian use but taken over by Israeli settlers. I watched a dog run down the middle of the road and I thought about the irony of freedom – a dog travels freely, but a Palestinian cannot. My spirits fell as I walked past doors welded shut, a symbol of a once bustling market, now completely deserted. 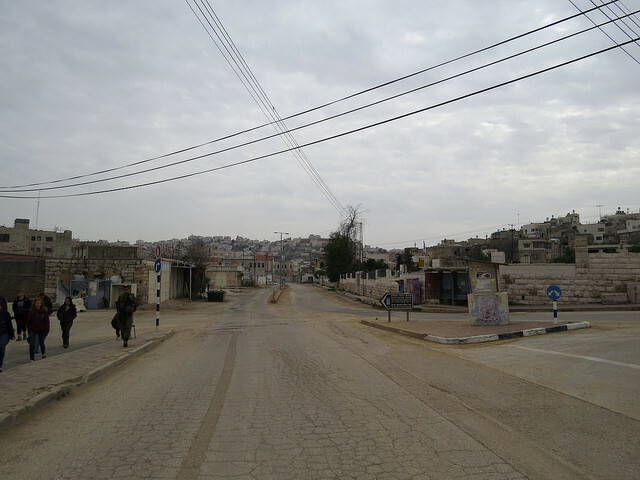 The bone crushing atmosphere in Hebron was distinctly lacking of all hope. But yet in Palestine, hope remains. Arabic classes continue to be entertaining and yet simultaneously the bane of our existence. While challenging and applicable, they are also frustrating and demanding. Our teachers tell us, “Use the back of your throat! !” I didn’t even know that throats could make that sound. But along the way, we’ve also picked up the wisdom of our teachers. In the words of charismatic teacher Abdullah, “to learn the language of your enemy is to make them your friend.” From the smiling faces of the local shopkeepers as we greet them with a simple ‘Marhaba!’ we are learning this for ourselves. 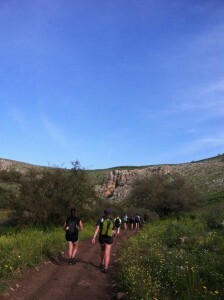 The hike through Wadi Qelt took us outside of the classroom and straight into the pages of the Bible. The beautiful scenery and precarious paths took our breath away and also our feet from under us (5 documented wipe-outs from the day). We read Psalms 23 as we sat beside still waters in the (legitimate) Valley of the Shadow of Death. King David’s words have never seemed so real, as we imagined ourselves to be shepherds on the very hills where the boy poet David roamed. Not to mention that we got to stand on the ruins of one of King Herod’s many palaces. This week has been a flurry of information, images, and activity. It seems that we learn without even trying. 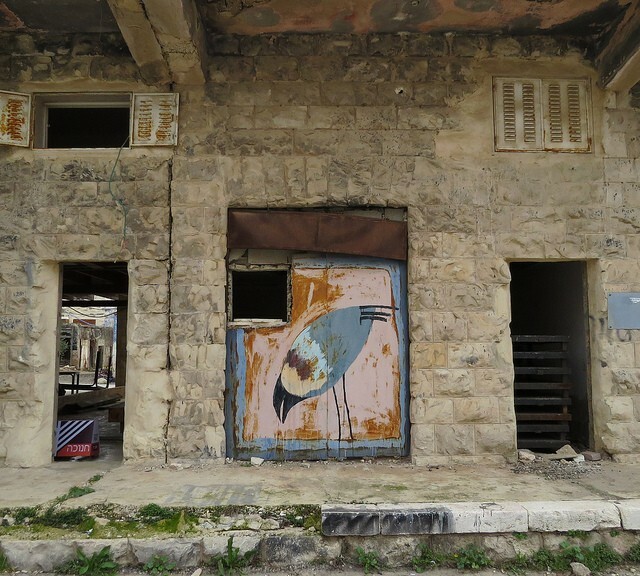 With one week left here in Beit Sahour, we want to take in everything we possibly can. The things we have seen and experienced will travel with us even as our time here draws to an end.